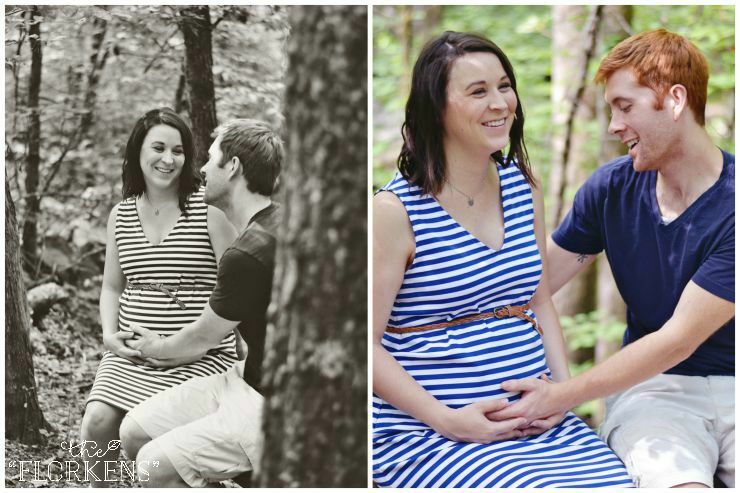 Last week the maternity pictures that Adam and I took finally came in. 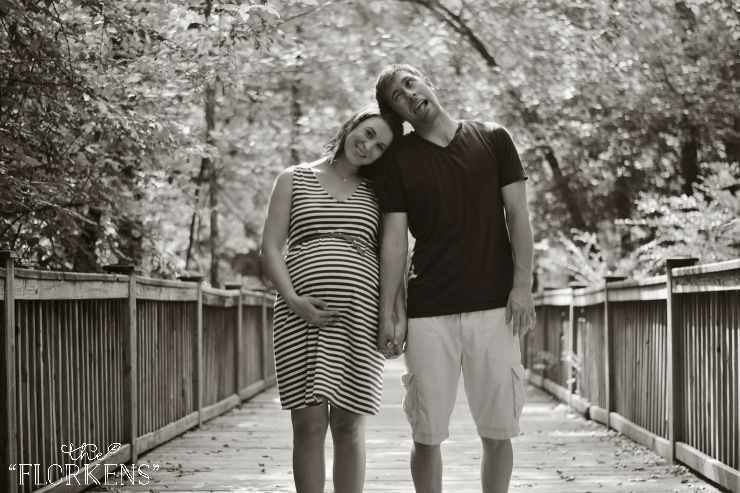 When I first got pregnant, I swore I'd never do maternity photos. 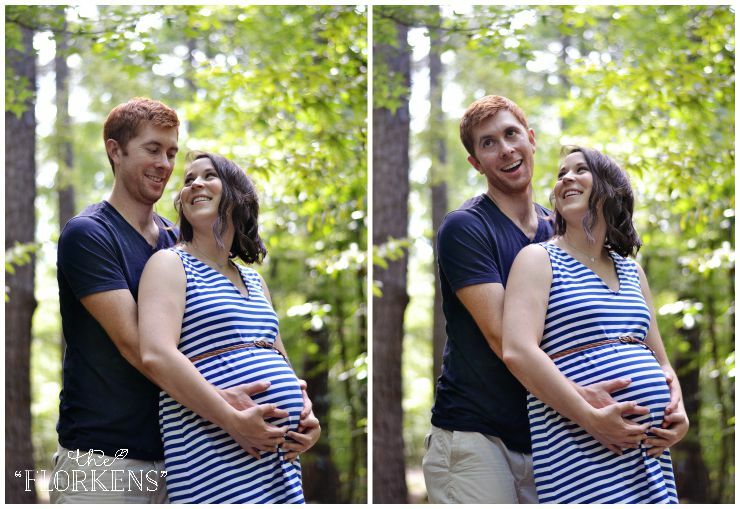 I've always thought that maternity photos were a little vain and weird. I mean, who wants photos capturing them at their biggest and most uncomfortable? Still, as my stomach grew, I started to wonder if our baby would one day want to see photos of me pregnant. Sure -- I don't feel my most beautiful right now, but one day a kid might want to know what it's mom looked like when she was busy growing them. 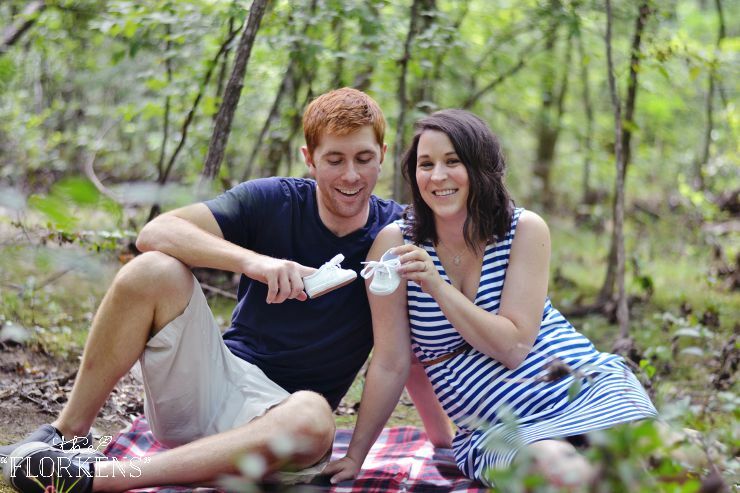 So, long story short, I caved and decided I'd do maternity photos after all. 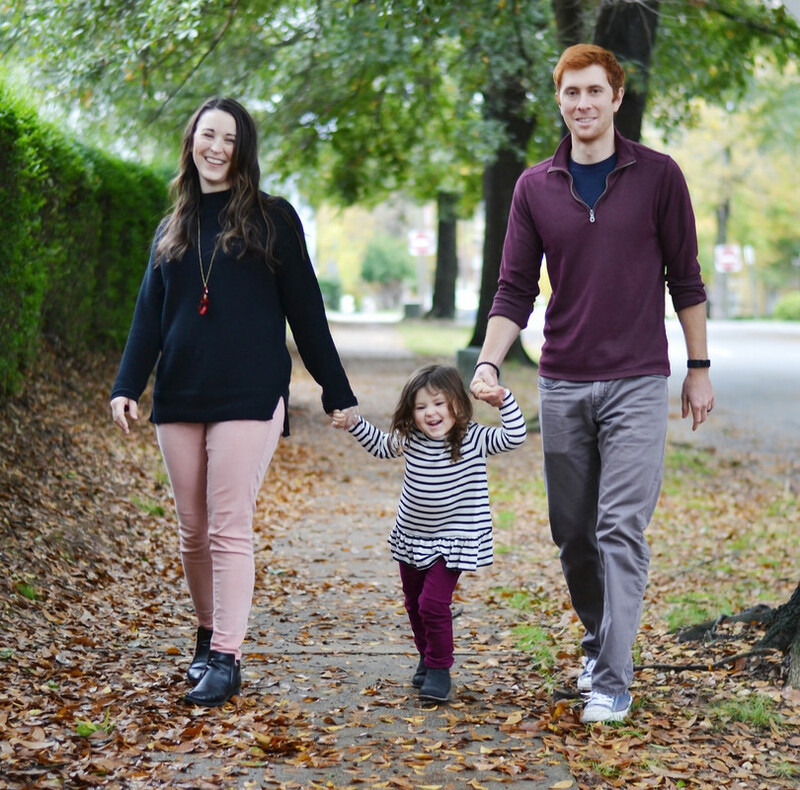 Adam and I are thrilled to be working with the fabulous Niki Zimmerman of Niki Zimmerman Images. 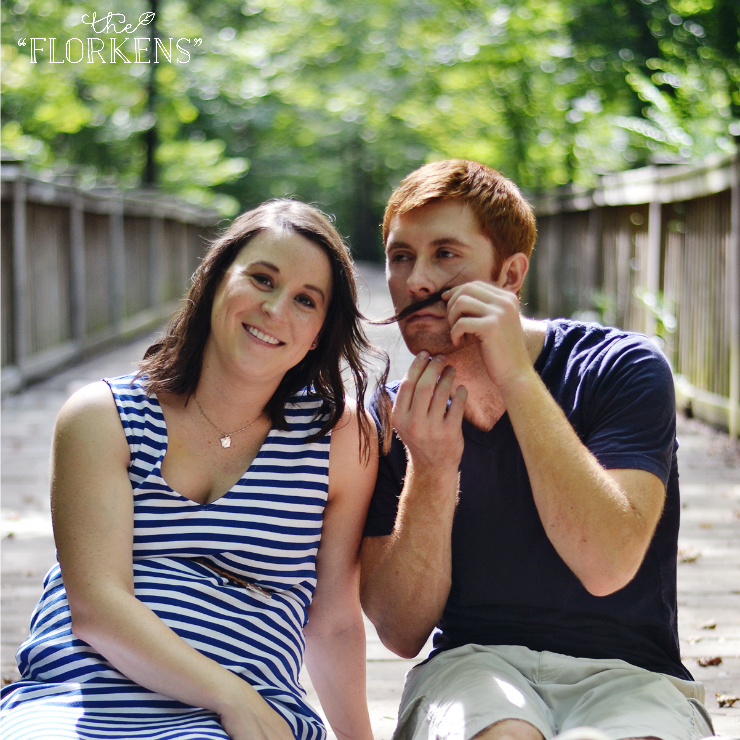 Niki not only did our maternity shoot, but she will also be photographing the birth of our sweet little one as well as taking Baby "Florken's" newborn pictures. 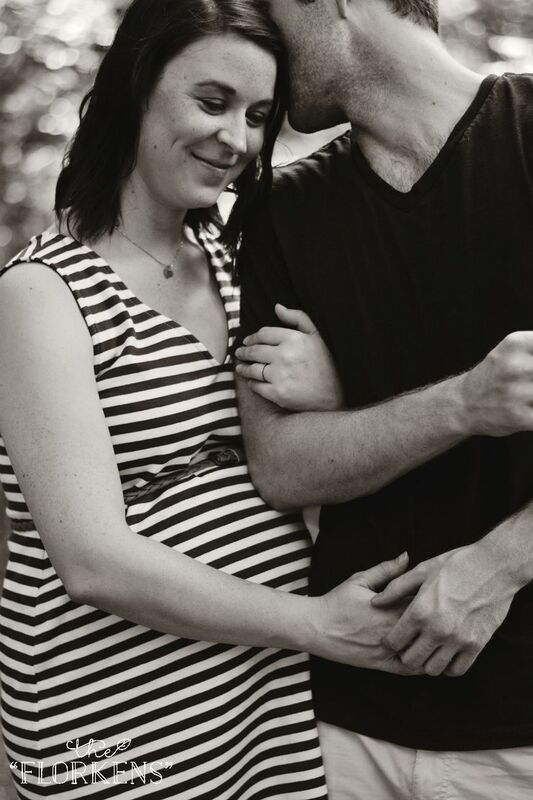 We all jived really well during the maternity shoot and I think it shows in the final result. Keep in mind, it was nearly 100 degrees outside while we took these and it was only like 11 a.m. Yikes! 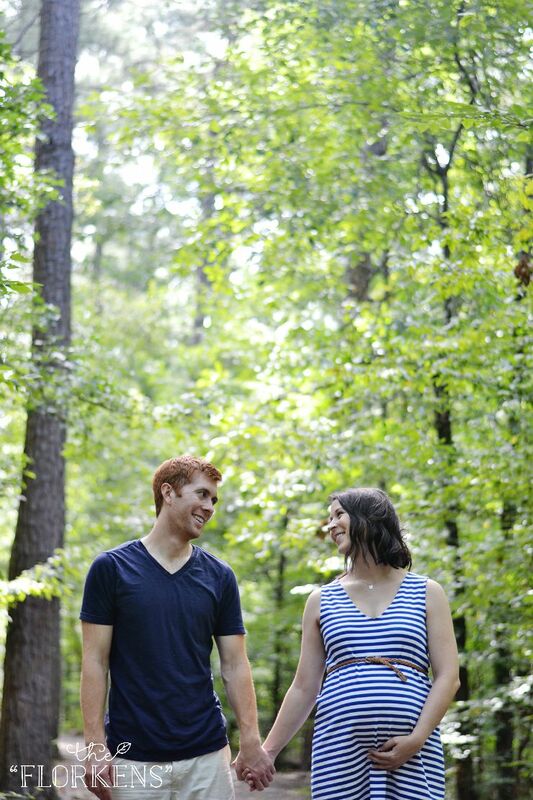 That's what you get when you take outdoor photos in July in Arkansas. Still, we have so many great pictures that I'll actually be back tomorrow to share another round of them. In the meantime, check these out and let me know if you like them. Aw! I love that you both got to show off your goofy side- those are always my favorite pictures. Taking staged pictures can feel so uncomfortable. You guys always take such amazing photos! Love these! These are beautiful, and you look great! 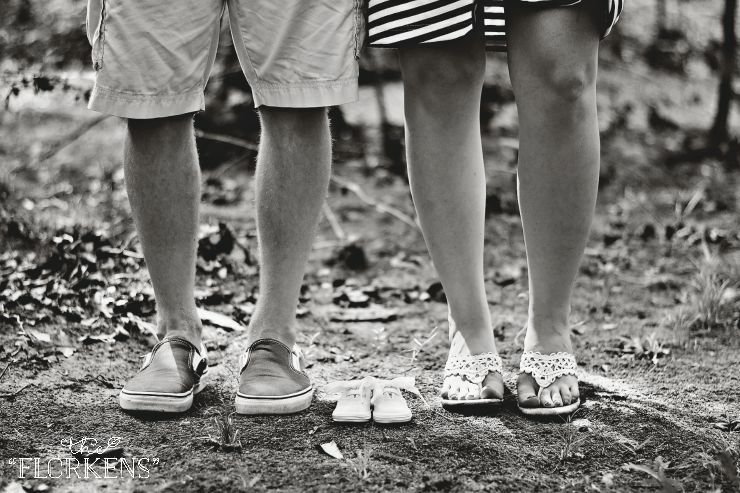 I'm also debating maternity pictures--our first little one is due in February :) I felt the same way about taking pictures while looking so big and feeling uncomfortable, but I also feel like I would rather spend money on newborn pictures. If we can find a friend or family member who takes decent pictures to do it for us, then I think we might go for the maternity photos too. Ah I love them! They turned out amazing! These are so precious! Love the setting.